Cologne - Few sports get as much coverage on social media as football, and as the league of the world champions, it is no surprise that the Bundesliga enters into the discussion more often than not. Franz Beckenbauer, a hero of the Bundesliga, of FC Bayern München and of the German national team, remains involved in the game as a TV expert for Sky Germany. He also travels the world as an ambassador for the German game, tweeting this picture when he visited Bayern's offices in Manhattan, NYC. German NBA basketball star Dirk Nowitski of the Dallas Mavericks tweeted this picture from Hertha Berlin's Olympiastadion back in June. 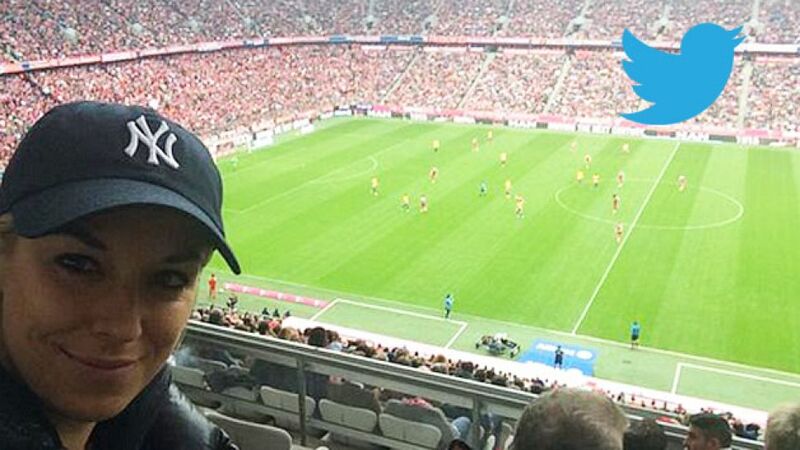 "Saw Bayern last night. [Arturo] Vidal and Douglas Costa impressed, my favourites are [Thomas] Müller, [Jerome] Boateng and [Manuel] Neuer!" Another German tennis star, Andrea Petkovic was, like most SV Darmstadt 98 fans, delighted when the Lillies gained promotion in 2015, tweeting "Bundesliga, you understand? ", followed by the rather cryptic "Nobody intends to get promoted." Actor Dominic Monaghan, known from the TV series 'Lost' and 'The Lord of the Rings' movies, was one of the many who threw his weight behind FC Bayern's Manuel Neuer as the most deserving candidate of the 2014 FIFA Ballon d'Or award. Neuer eventually came third. Here's Lukas Podolski, formerly of FC Bayern and 1. FC Köln, stopping by to say hello to Roman Weidenfeller of Borussia Dortmund, whom he bumped into during a pre-season training camp for his present club Galatasaray SK. Bastian Schweinsteiger may have left the Bundesliga, but the former Bayern man, now at Manchester United FC, didn't forget to wish his old team-mate Robert Lewandowski many happy returns of the day. Toni Kroos was sure to express his delight at being back in Munich at the beginning of August, as his current club Real Madrid FC took on his former club Bayern in the Audi Cup friendly tournament.